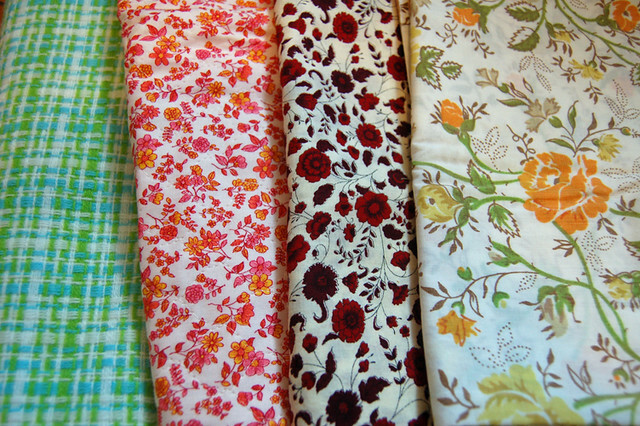 fabric finds | Flickr - Photo Sharing! these are so nice. guess i didn't get a chance to look at them while there. it was SO fun to go! yo! i have that orange flowered sheet as a tablecloth!! must be its sistah sheet.